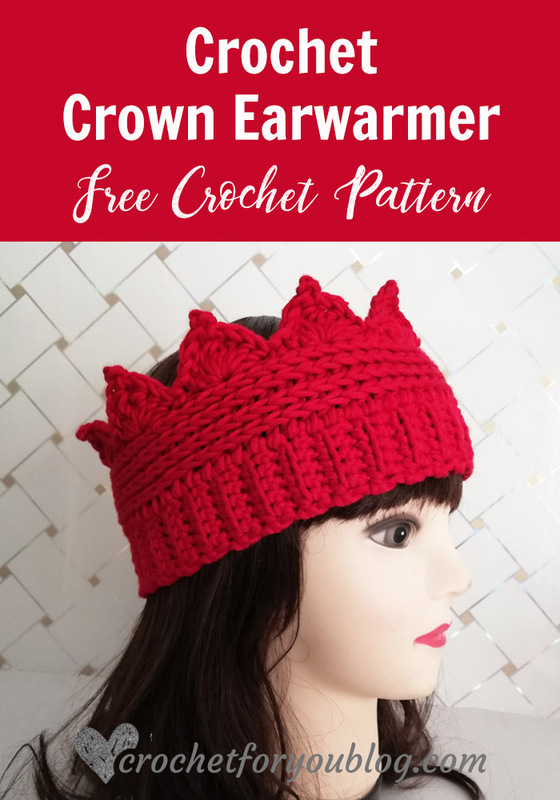 Make your own Crown Ear warmer not just for fun but keep your ears warm in the cool weather. This pattern can be easily adjusted to any size. It means you can use any yarn weight and the gauge is not very important. 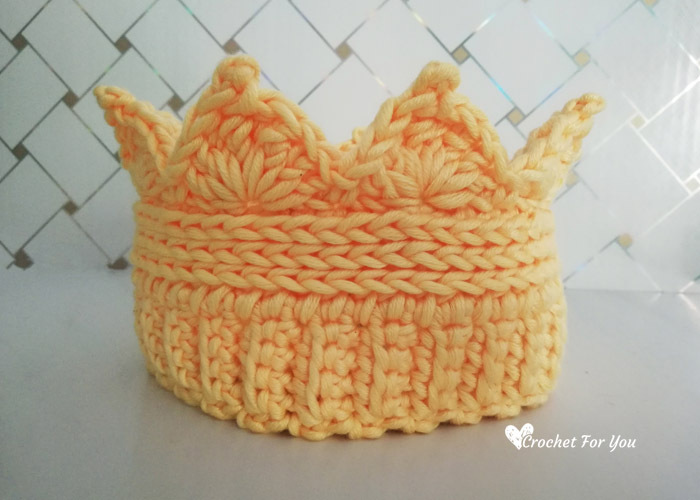 Isn’t this Crochet Crown Ear warmer perfect for kids? They can play king and queen roles while they are wearing it on winter days. Kids will love to wear it all day. 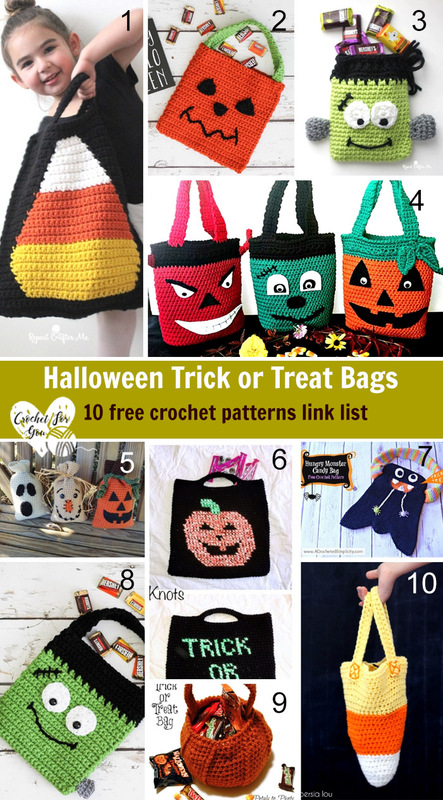 And I hope you like this pattern as a gift idea too… There are so many possibilities. 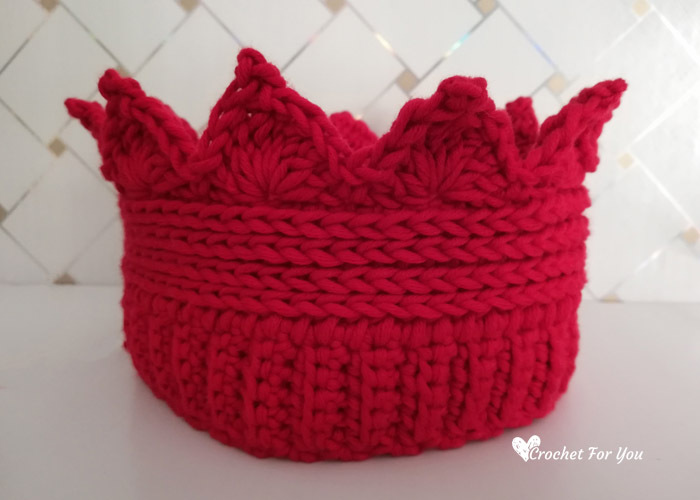 This crown Ear warmer is perfect for Christmas, birthday parties, and as a prop. 😀 What do you think? I like to hear your thoughts. Gauge: 13 sc x 14 rows = 4″ with I-9, 5.5mm crochet hook. Picot = crochet ch 3, sl st to the previous tr you just crocheted. Shell stitch = (2 dc, 2 tr, picot, 2 tr, 2 dc) in indicated st. This ear warmer has a ribbed band and can be adjusted to any size. To get your desired circumference for the ear warmer, crochet multiple of 6 rows for the band. Row 3 to 66: repeat row 2. Round 3 – 4: repeat round 2. Row 3 to 54: repeat row 2. Why is this? It says supposed to be 6 stitches count throughout the rounds. Am I missing something? Beautiful! Would you mind telling me what yarn you used for the red one? I purchased the red yarn from eBay. 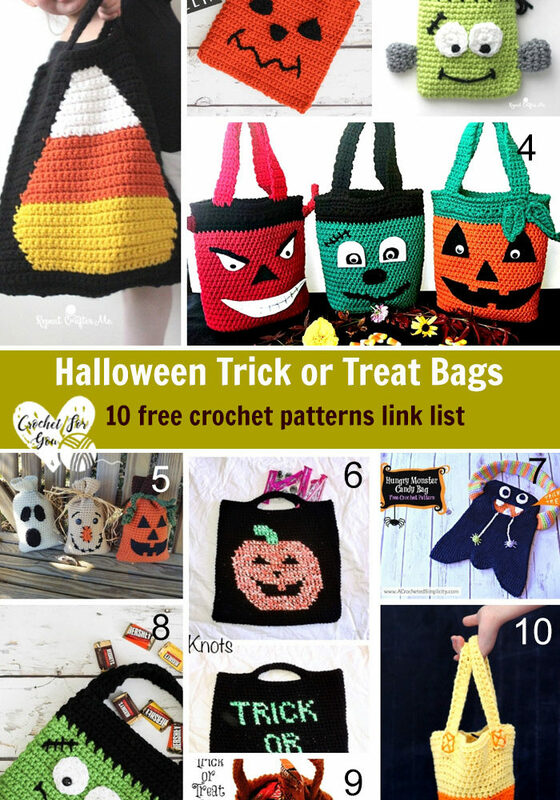 Thank you for sharing your “adorable” Crochet pattern. Everyone needs a crown or two especially in the Winter. I do not know how to crochet, but would like to have one mad for me to purchase. Would this be something someone could do for me? Thanks! I need help on this. Please explain to me what ‘hdc into the 3rd loop of each st around’ means. The 3rd loop is what is confusing me. Thank you. 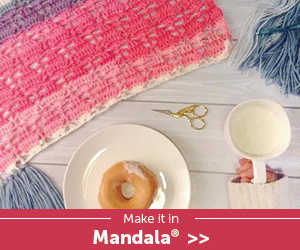 Hi Ellen, you can find the instructions for how to crochet in 3rd loop in the special stitches in this pattern post. Or you can google search 3rd loop crochet. Okay so I’m at the last step with the shell st around the top but I cant for the life of me figure out how you only did 11 of them! I have counted and recounted my stitches and I only have 66 st like it says. But for some reason I can do 16 shell sts. They are supposed to go all around right? And for the shell stich all 2 dc, 2 tr, picot, 2 tr, 2 dc for it go into one single st correct? Did you skip 2 sts after crocheting shell and sc in repeat section in the last round? Surely you have missed to skipped 2 sts in some whare in the last round. Thank you for the pattern. I’m always looking for new things to do. Was wondering where to do the picot Stitch… Did I miss it in the instructions somewhere? First, you need to follow instructions for shell stitch. 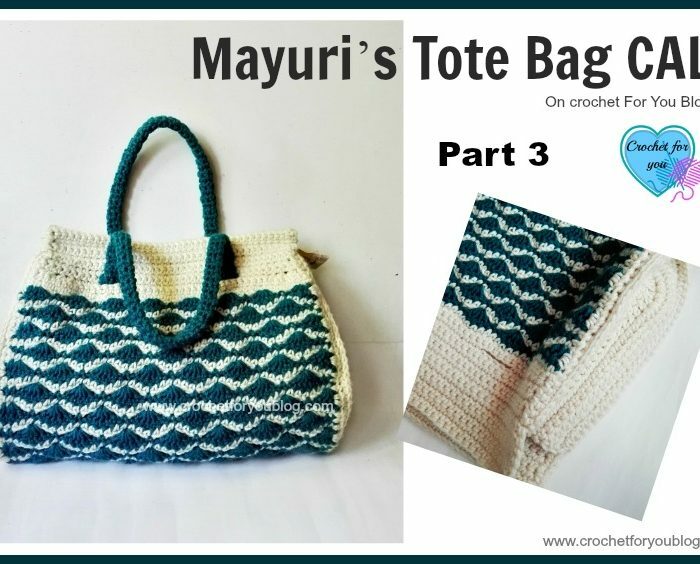 After you crochet 2tr in shell st, follow instructions for picots in special stitches. For the picot you need to crochet ch 3, and sl st to the previous tr you just crocheted in shell st.
Do you have a youtube video on this? Sorry, I have no video tutorial for this pattern. Excellent job! I absolutely love how mine turned out! 🙂 however, my toddler stole it so I better make her one too!! 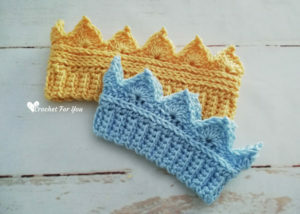 So on the last row where you make the crowns, does that go in the normal stitch or are you still working the on the 3rd loop? The last round works normal way (works through 2 loops of the stitches in the previous round). Row 2: ch 1, sc in first st, sc in BL of each of next 3 sts, sc in last st, turn. (5 sts). BL= Back loop? Just checking! Hi! I am from norway, and dont understand what “sts” means, i tryd google, but got no answer! Thanks alot! I used 4-medium, worsted weight yarn that I purchased on eBay. Is there a video to follow this whole pattern? 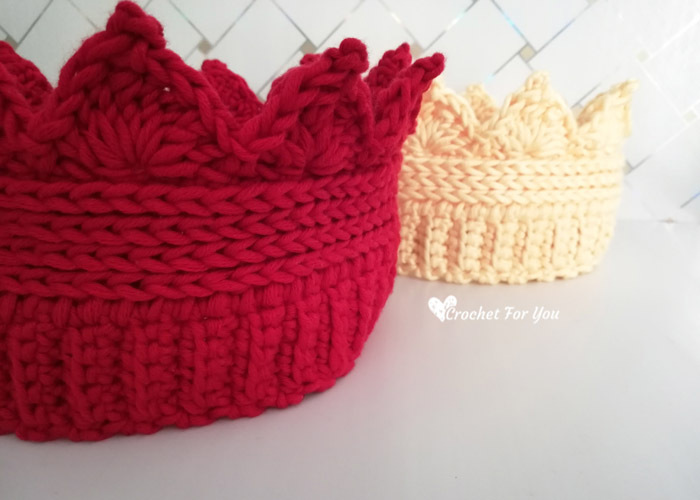 I was wondering could you make a video or do you have a video on how to make a the crochet crown ear warmer for the ones that don’t know how to read them. I hope to create a video tutorial in the future. I was wondering, in order to make this for a 4 year old & 6 year old is the smaller size small enough? 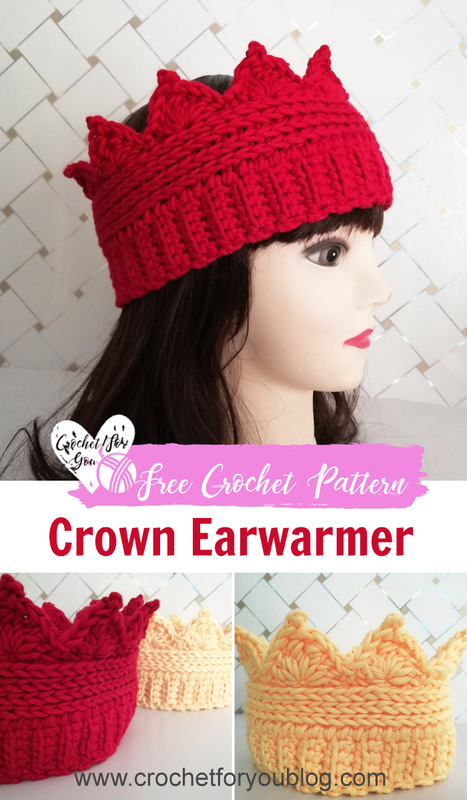 You can change crochet hook to a smaller size or change the yarn weight like (light worsted or DK) and follow the child size pattern to make a smaller size ear warmer. What kind of yarn did you use? I know you said you got it off of Ebay but what was the brand? I am working on the crown ear warmer. Is the 20″ band measured before it is stretched or is it supposed to stretch to 20″. I have finished all 66 rows but without stretching it measures 18″. Thank you so much! Thank you for the pattern! I hope it will get the 20″ if you change the crochet hook to a larger size. So the instructions end after row 6. No where is there instructions of picots or tr. I have found this frustrating . 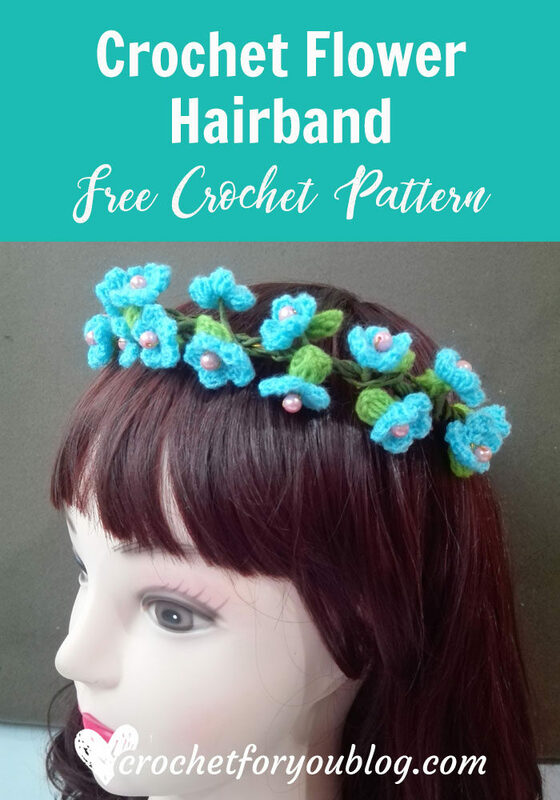 As I told in the pattern, the simple method is to adjust this pattern to any size is crocheting multiple of 6 rows for the band until getting your desired circumference. 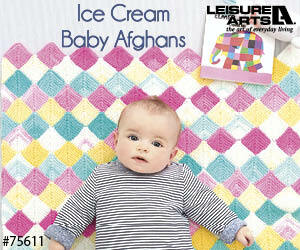 Hi Katen, you can crochet 48 rows for toddler size. Because the 48 is the next lowest number of multiple 6. Also, you can change crochet hook to a smaller size or change the yarn weight like (light worsted or DK) And follow the child size pattern to make a smaller size ear warmer. Hi, about how long does one of these take you to make? Thanks. And have you ever made one out of cotton? I’ve made 3 child size today! These are adorable and work up so fast! Thank you so much for the free pattern! I don’t understand how and where the ribbed band is connected to the long part. Is there anywhere that shows pics of each step? Everyone loved your pattern! Thanks for sharing it! Absolutely LOVED your pattern….made two up for my granddaughters while watching a Christmas movie! Take no time at all. 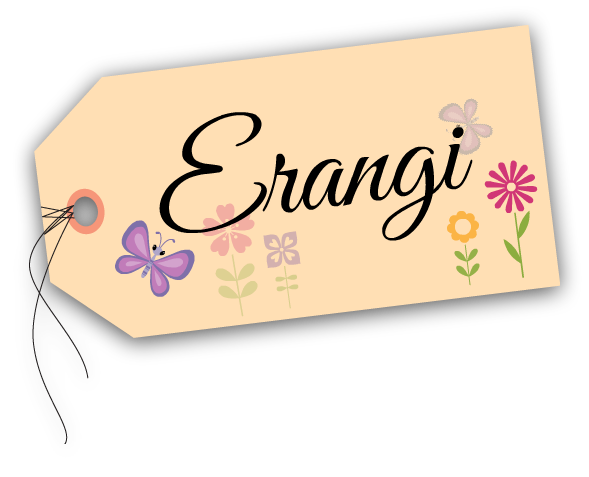 Your instructions are perfect; super easy to follow along with!! Very well written!! Love this. Is it written in US standard crochet terms? 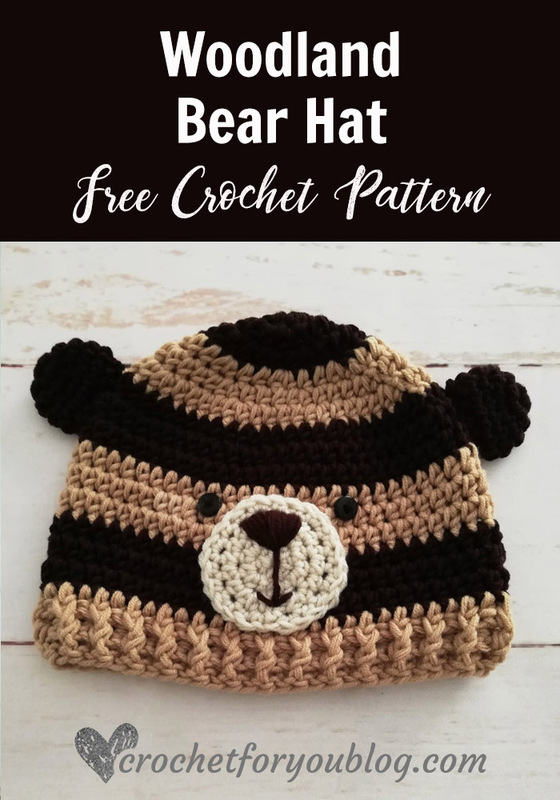 Very cute pattern and very easy to make. Thank you. What process do I need to use to make the points stand up? If you need more stiffness you can use starch only on the points. Love the pattern! I’ve never done the hdc/sc in 3rd loop. My points are not standing up straight. What do you suggest I do? You can use starch only on the points. LOVE! LOVE! LOVE! Thanks so much for sharing. Hi! I have been trying to make this for my daughters in the child size. I made the band at 54rows and it is way too small. I am using #4 yarn. Idk what i am doing wrong. Any advice??? Hint: add more 6 rows to the band if you still can’t get it you can add more 6 rows.